Are you getting ready to grill out for the Memorial Day Weekend? 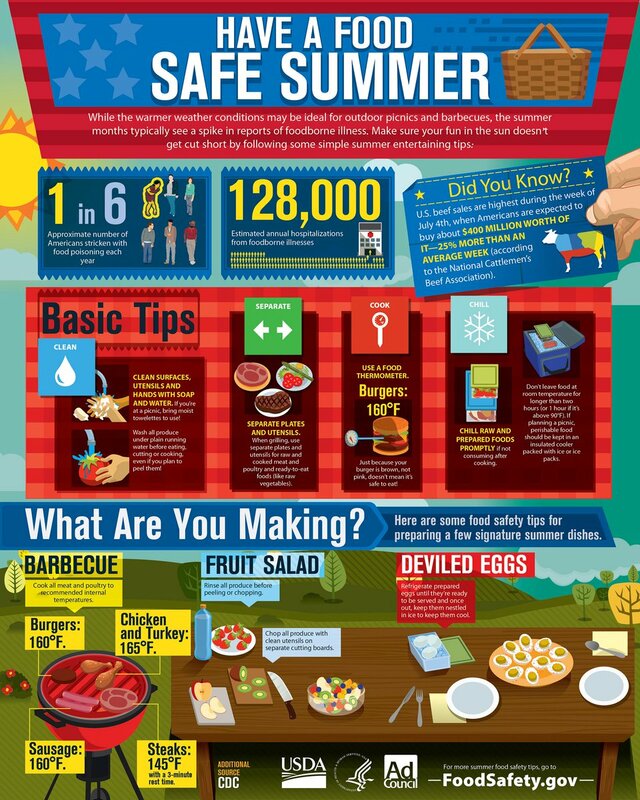 Foodsafety.gov has put together this infographic to provide guidelines for food safety with special considerations for the summer months, BBQs, and picnics. The Food Safety and Inspection Services helps educate consumers about the importance of safe food handling and reducing the risk of foodborne illness. This infographic provides awareness of proper methods for cleaning, separating, cooking, and chilling food that is ideal for outdoor picnics and barbecues in the summer months when foodborne illness is more prevalent. The journey into home ownership can be a great adventure, but one with many steps and months of challenges to pursue before achieving this great milestone. First time home buyers may find the home buying process to be complex and intimidating from finding the right-forever home, to understanding financing, to maneuvering through contracts before getting to the closing table... One way to minimize the fear of the home buying process is to gain knowledge and guidance. The objective of this series is to help first time home buyers understand the steps and gain a good level of knowledge and confidence within the home buying process. An informed buyer is a confident buyer. 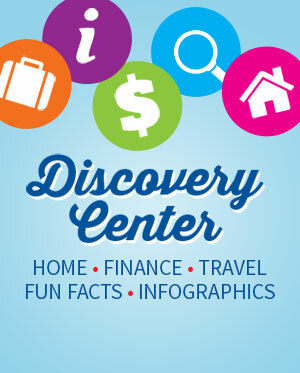 Discover what’s happening in the world in media, entertainment, daily news and trends and how they affect our daily lives and interests.Learn about a broad variety of topics that will inspire you and how you live, dress, shop, entertain, socialize and care for yourself each day. Are You Ready for the Storm? How Many Miles Do I Have to Run to Work Off a Burger? Most Shipped Items to and From the U.S.
How Many Dollar Bills Are in Circulation?